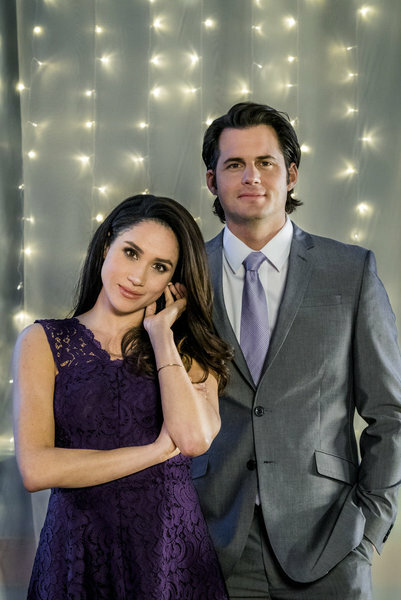 Hallmark Channel Original Movie Dater's Handbook premieres Saturday, January 30 at 9 p.m. ET/PT. The film stars Meghan Markle, Kristoffer Polaha, and Jonathan Scarfe. Realizing she has a recurring habit of picking the wrong type of guy, Cassandra Barber (Markle) turns to relationship expert, Dr. Susie, and her latest self-help book, "Dater's Handbook" to help with her ailing love life. She follows the advice in Dr. Susie's book to evaluate potential suitors, and then must ultimately choose between reliable George (Scarfe) and fun-loving Robert (Palaha). It's hard to change old habits and place your faith in the experts, especially when your heart tells you something different. Dater's Handbook was directed by James Head and written by Jennifer Barrow and Rich Tabach.